Why am I dissatisfied with health devices and applications? After 2 months of initial excitement with my smart band and related apps, I have stopped wearing the device after. Seems I am not alone in my frustrations: a new study from the Journal of Medical Internet Research (JMIR) shows that even patients who do see value in smartphone and tablet apps nevertheless within 6 months stop engaging with the devices. More than forty percent said that tracking and monitoring apps required too much time to input necessary data, while a similar number simply said that their interest faded over time. The enthusiasm about consumer health tracking devices and apps is fading as soon as people get really worried about their health. One of my health applications is measuring calories burned during my exercises. It is also telling me how my heart rate is reacting on the workload. But all those data are not helpful in improving my exercise program: should I increase the workload to burn more calories or, on the contrary, decrease it to sustain my heart rate? What is actually good for my health? Similarly, millions of individuals are monitoring daily their vital signs such as blood glucose level, heart rate and medications with only one selfish hope: improve their own health – and as soon as possible. Alas, those regularly collected and averaged observations still do not suggest how to make personal health results look better. Should I, e.g., increase my beta-blocker from 0.5 to 10.0 mg, switch to another drug or simply move to the country where the climate is better for me? The majority of today’s health apps are unable to interpret intricate dependencies between the vast spectrum of personal health data to finally build a full picture of their health puzzle – in order to improve the daily habits or medical treatments. Unfortunately, the developers are still reluctant to add analytical engines to personal health tracking tools encumbering users with the flood of data that create more questions than provide answers. No surprise that after several months of diligently collecting such data, the enthusiasm is fading and users stop downloading the apps. One can surf the Internet mapping one’s symptoms to potential remedies, but at a certain point you want to share your concerns with a professional physician. Frankly speaking, none of the physicians I met has ever asked me about my Personally Generated Health Data (PGHD). Once I have shared with my GP a nice blood pressure graph stored in my phone app. He looked at the picture briefly pulling out with a sigh his obsolete blood pressure analog gauge with a manually inflated cuff, analog dial and a stethoscope for listening to the noise in the brachial artery (hearing the Korotkov sound). I can understand my doctor. As a consumer, I compared the old-fashioned blood pressure analog monitor having manually inflated cuff with modern ones from such vendors as Sanitas, Microlife and Omron. The difference in measurements between all those well acknowledged and certified devices was about 20-25 mm Hg (colloquially points). For a person with a hypotension a difference in 160 mm Hg or 140 mm Hg of systolic arterial pressure means a lot. How can a doctor trust PGHD when even devices that generate such data are not quite accurate and, therefore, trustworthy? 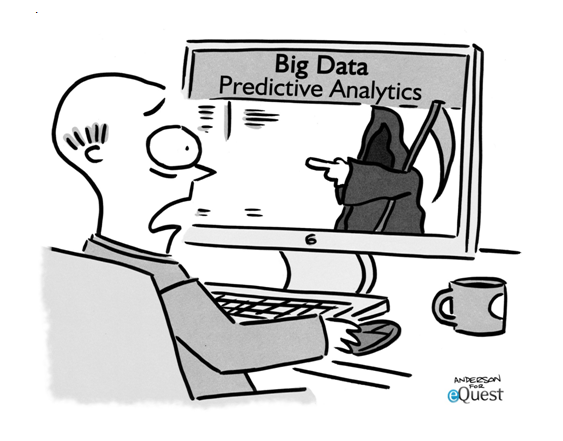 Data incongruity is typical for many health applications. After comparing several blood pressure applications used by my friends, my husband and myself, I have noticed a great disparity in data interpretation. In the application I was using everything below 140 mm Hg systolic was considered to be normal, everything between 140 and 160 on the borderline and everything higher than 160 mm Hg above the norm. Contrary, the application my husband is using regards values above 140 mm Hg as exceeding the norm. All those applications are following different medical guidance often disregarding age and gender, not considering the previous health history of a user. Sleep monitoring devices and the respective applications is another example. Some of them are measuring the percentage of your sleep efficiency and of actual sleep, others use intervals or divide the night between light and heavy sleep. One can only guess what exact physical parameters the devices are measuring and with what accuracy. No wonder that our doctors are reluctant to include PGHD in patient’s health records for a danger of being misled by a flow of non-accurate, non-standardized data. Thus according to the Catalyst Insight Council’s study the majority of the physicians surveyed (56%) stated that “remote monitoring using wireless devices/wearables is the least effective patient engagement initiative. There is also a risk that data inaccuracy will provoke a patient’s anxiety resulting in unnecessary visits and calls to physicians who have limited time even for those who need it most. I am not among those conservatives who regard health consumer devices and applications as nothing more but a nice Christmas present. On the contrary, I am absolutely convinced that the Internet of Health and Consumer Generated Personal Health Data are the prerequisites for an efficient collaboration of patients and physicians and ultimately leads to the improvement of the contemporary care system. But those who develop consumer health applications and devices have to seek not only FDA and similar approvals. To ensure the quality of data generated from sensors and wearable devices, the developers have to become an integral part of the entire healthcare process, research and engineering. Until that happens, the bridge between consumers and professional health community will be shaky. So far the successful examples of patient engagement with smart gadgets are normally generated within the professional medical environment and not by consumers. At least physicians can test data in their premises assuming the responsibility for data quality. Thus the Dartmouth-Hitchcock Health System is piloting ImagineCare, a personalized solution that encompasses physical, mental and emotional health. Patient’s data are taken from sensors and devices such as blood-pressure cuffs, pulse oximeters and activity trackers such as Microsoft Band and transmitted via smartphone to the Azure cloud. From there, the data are pulled into a Cortana Analytics Suite dashboard at a “contact center” staffed 24/7 by registered nurses to provide a particular view of each patient’s personalized care plan. The nurse can reach a patient by phone or video chat, and if some of the patient’s data trespass the norm the care plan can be updated together with the physician. Physicians can view the data within the overall context of patient’s health history thus being able to extract the meaningful information from the buzz. Consumer engagement in healthcare process takes more than simple tracking of various scattered health parameters. Data accuracy, standardization and analysis are the cornerstones one has to consider even before moving to more sophisticated levels of data interoperability and PGHD/EHR integration. Unless this basic homework is done, medical community will be skeptical in opening up their domain to consumer generated health data, while patients will be locked within the abundance of scattered data that will cause more doubts and frustrations instead of brining vital information. Can technology help us to treat diabetes better? Wearables, patches, nanosensors and other emerging technologies can radically enhance the quality of diagnostics and treatment of severe diseases such as cancer or cardio failure. We will address now the third part of the triptych: diabetes. According to WHO diabetes ‘will be the 7th leading cause of death in 2030’ with about 347 million people worldwide suffering from it. The sad revelation may come accidentally after blood checks in connection with other sickness such as, e.g., flue, but in any case with no suspicion of diabetes. A diabetic patient has to stay on medication such as Metformin through years of his life combining this treatment with insulin injections on a later stage. But the concentration of glucose in the bloodstream is typically not stable and varies drastically depending on multiple factors: stress, food, physical activities, etc. The sugar may suddenly rise, but can also dramatically fall provoking hypoglycemia that could cause dizziness, vertigo or even bring a person into coma. To ensure the right balance of glucose in the blood one has to measure the glucose level several times per day. Unfortunately, the widely used consumer blood sugar measuring devices with all their test stripes and disposable needles are very uncomfortable and prone to infection due to the invasive nature of measurement. For patients to monitor and control their conditions properly, easy to use and noninvasive methods of glucose checks are required. These methods are coming, but first of all why to confine ourselves only to blood checks? Many years ago Microsoft Research and the University of Washington started experimenting with functional lenses that could be placed into the eye. This miniature lens was equipped with a biosensor that reacted on the level of sugar concentration in a tear. In case the sugar level exceeds the norm, a tiny antenna in the lens transmits the alert to the patient. The project was later picked up and commercialized by Google in cooperation with Novartis who plans the first human tests with “smart” diabetic contact lens in 2016. However, wearing even a tiny object in your eye is still uncomfortable. HealBe, a company that is specialized in wearable devices and wellness applications, is raising “crowd funding” to create devices that will measure sugar level in the urine. GlucosAlarm can be simply installed in a toilet. The routine procedure each of us have to undergo every day may tell a lot about our health condition by measuring not only sugar, but also some proteins, e.g., albumin as well as ketones, pH, etc. to detect a wide range of disorders such as urinary tract infection, kidney diseases and many others. Maybe in the future our toilets will be equipped with wirelessly connected sensors that would inform us via smart phones if we are fit for the day or whether our body requires some extra attention. Our sweat can tell us a lot about our health. We sweat when we are nervous, tired or sick to “cool” ourselves a bit. The scientific team from the Center for Nanoparticle Research at IBS decided to make a wearable graphene-based patch that monitors the increase in relative humidity (RH) in the sweat. The patch with the humidity sensor is attached to the skin. In about 15 minutes RH reaches over 80% and the sweat-uptake layer of the patch starts collecting sweat that initiates a glucose measurement. The connection to a portable/wireless power supply safeguards data transmission directly to the diabetic point-of-care treatment. The patch is not only monitors, but also controls the sugar level by applying the necessary amount of medications. Covered by microneedles each of which containing Metformin, the glucose formation preventing drug, the patch is piercing the skin and the needles release Metformin directly into the bloodstream. The effect is much stronger and faster compared to per oral drug delivery during which the medication have first to be consumed by the digestive system. So far tests were performed only on mice. But scientists are convinced that the device can in future be used by diabetic patients exempting them from an unpleasant routine of drug intakes. Smart patches can also help us to get rid of insulin injections whatsoever. The researchers at the University of North Carolina and NC State have created a smart patch that detects the increase of sugar in the bloodstream and sprinkles insulin doses whenever needed. The patch is coated with culturally produced human beta cells that are responsible for monitoring the excess of sugar in the bloodstream releasing insulin when necessary. In case of diabetes (DM-2), beta cells fail to notice the extra sugar and thus to produce the required amount of insulin. To repair the process, tiny microneedles are attached to the patch containing the glucose-sensing enzyme. Poked into capillaries, the enzyme spots the sugar increase and communicates this message back to the beta cells. The mechanism is fixed and beta cells regain their functions. Smart patches may soon give way to even “smarter” implanted cells that will regenerate damaged organs directly in our body. The team of researchers from MIT’s Department of Chemical Engineering, the Koch Institute for Integrative Cancer Research, the Institute for Medical Engineering and Science (IMES), as well as the Department of Anesthesiology at Boston Children’s Hospital are designing a system that can provide diabetics with a completely healthy pancreas that will keep the right balance of sugar without any drugs. The intention is to replace the destroyed islet pancreatic cells with the healthy ones, generated from human stem cells. To deceive the immune system that will try protecting the body from the external cells, scientist have encapsulated those healthy islet cells with alginate, substance distributed widely in the cell walls of brown algae. After experimenting with 800 alginate derivations on mice and non-human primates, the triazole-thiomorpholine dioxide (TMTD) version was chosen. Placed into pancreas, the encapsulated cells immediately began producing insulin in response to blood sugar levels able to keep it under control for the length of the study, 174 days. So far the research was confined to laboratory tests, but the goal is to make this method available to humans thus releasing millions of diabetic patients form the burden of insulin injections. When I was writing this post I thought: WOW! What amazing new ways technology is offering to treat people who have been struggling with a disease for many years of their life. But my enthusiasm cooled down: what prevents those beautiful things from reaching the consumers and when can we expect the benefits they promise? I would greatly appreciate your thoughts. In my previous blog we have looked at nano- and biosensor technologies that are opening new ways to diagnose and treat cancer. This blog deals with another fatal area – cardiovascular disease (CVD), the number one cause of death globally. An estimated 17.5 million people died from CVDs in 2012, representing 31% of all global deaths. One of them was my friend. A sport fan, he was running, biking, regularly dropping into jims with all the nice gadgets around: Polar, Runtastic, you name it. Until one day he fell down from his treadmill, his heart stopped beating. He was always proud of his health, with no bad habits such as tobacco or alcohol consumption, saying nothing of addiction. Thus Vital Connect debuted with VitalPatch biosensor that was presented at the 2016 Healthcare Information and Management Systems Society (HIMSS) conference and exhibition in Las Vegas. This wireless, adhesive patch continuously monitors and records single-lead electrocardiogram (ECG), heart rate variability, respiratory rate, skin temperature, posture and fall detection with clinical accuracy. In case of suspicious deviations from the regularly heart performance the signal goes to the Vital Connect platform and is shared with the respective physician. A professional 12–channel 24 hours (or more) ECG Holter device will soon be part of our standard dress code. Wearable garments such as Niturit, a seemingly ordinary T-shirt developed by the University of Aveiro in Portugal and the Israeli “Moked Enosh” company can record the heart activity transmitting it via a smart phone over a number of hours up to four consecutive days directly from a patient to a cardiologist. The T-shirt is being offered as part of examinations by the Moked Enosh center at the cost of $ 117. Many hopes are associated with the development of nanosensors. Being attached to the molecular nanoparticles, such sensors are able to register the slightest alterations of a molecule’s spectrum instigated by the changed biochemical processes in the damaged cell. For example, this method can detect a heart attack by measuring stress symptoms in the heart. The group of researchers from the Indian Institute of Technology , Mumbai, under Prof. V. Ramgopal Rao are developing a three-dimensional sensor system that measures the stress symptom (that can signify myocardial infarction) in the heart converting it into electrical signals. A severe stress prompts the excess of enzymes (protein or, rarely, RNA molecules that catalyze biochemical reactions) in the heart and the heart area, which may cause excessive pressure and exertion on blood vessels. When involved in a biochemical process with the enzymes, nanoparticle polymer generates the electric current which can be detected. The researchers are determined to produce a low cost system that will use molecular markers to predict and locate cardiac attacks, especially the fatal ones. Scientists from the Massachusetts Institute of Technology and Harvard University are designing the system that can signal a heart attack by measuring the cumulative concentration of the respective biomarkers. The system consists of sensors housing iron oxide nanoparticles attached to antibodies of the protein in question. When target proteins go through the sensor membrane, nanoparticles are clinging to them, which alters the transverse relaxivity of surrounding water protons. This change in relaxivity can be read via magnetic resonance imaging (MRI) to quantify the concentration of biomarker over extended period of time. Scientists believe that the level of biomarkers’ concentration can help detecting cases of unrecognized MIs, which are accompanied by few or no symptoms and which, according to data from the Framingham Heart Study, constitute 28 percent and 35 percent of heart attacks in men and women, respectively. One of the strongest proponents of the consumer oriented nanotechnology is Dr. Eric Topol, the chief academic officer in Scripps Health (San Diego). Together with his colleague Axel Scherer, PhD, of Caltech, Mr. Topol is designing tiny blood stream nanosensor chips that might spot predecessors of a heart attack. The sensors are picking up a specific genomic signal coming from endothelial cells that are sloughed off an artery wall in a precursory period before a heart attack. By transmitting the alert via smartphone to the cardiologist the myocardial infarction potentially can be prevented. When such technologies finally reach consumers, millions of unexpected heart arrests can potentially be avoided. After the first experiment with cloning the sheep Dolly in 1996 many were dreaming: can we clone if not our whole body, but at least some of its vital organs? Would not it be nice getting a set of spare parts for a newly born just as spare parts are available for your new car? Unfortunately, natural organs are reluctant to grow artificially. Human organs need a congenital medium to be connected to one another. For example, all the fancy collagens in the world can’t anchor a cell to a basement membrane that is not innate or induce the cell to reproduce in the lab environment while separated from other cells. But the dream is waiting for its proponents. Professor Milica Radisic and the graduate student Boyang Zhang from U of T Engineering are among those researchers who attempted to grow human tissues in the lab. The result is AngioChip, a fully three-dimensional structure complete with internal blood vessels. For human cells to attach and grow around the chip, the researchers have built a scaffold out of POMaC polymer that is both biodegradable and biocompatible. The scaffold consists of several layers carved with a pattern of channels that are about 100 micrometers wide, the diameter of a human hair. The layers are covered with the 3D structure of synthetic blood vessels. The UV light is cross-linking the polymer bonding it to the layer below. The whole structure is then immersed into a liquid containing living cells. The cells quickly attach to the inside and outside of the channels and start growing just as they would in the human body. The team is currently building models for heart and liver that function as the real ones. For example, liver, according to the researchers, can produced urea and metabolized drugs. The blood vessels of the two artificial organs could be connected, thereby modelling not just the organs themselves, but the interactions between them. So far, such “organ on a chip” is designed for testing new drugs, but the researchers believe that it could eventually be used to repair or replace damaged organs. If flexible patches and biosensors may finally reach the consumers within the foreseeable future, it is still hard to imagine that we will receive a key from a locker stuffed with our human spear parts. But the studies are definitely going into this direction. As patients we are used to be patient. We will wait. Anywhere, from 15% to 28% of cancer diagnoses are misleading. This was the alarming conclusion of an Exploring Diagnostic Accuracy in Cancer survey conducted at late 2012 by the US National Coalition of Health Care and Best Doctors . The traditional methods of cancer diagnostics such as, e.g., mammography (for breast cancer), CT scans, X-ray, ultrasound imaging, MRI and PET (for various other types of cancer) or endoscopy, followed by biopsy of suspicious tissue (in case of gastrological cancer) could be traumatic and still are not 100% reliable. The US National Cancer Institute study revealed that of all breast cancer cases detected by screening the mammograms, up to 54% are estimated to be the result of overdiagnostics. Overdiagnosis can expose a woman to such risks as surgical deformity or toxicities from radiation therapy, hormone therapy or chemotherapy and late effects of therapeutic radiation (new cancers, scarring, or cardiac toxicity). Obviously, new methods of precise and early cancer diagnostics and treatment without exposing patients to the danger of radiation, chemotherapy or surgical interventions are badly required. 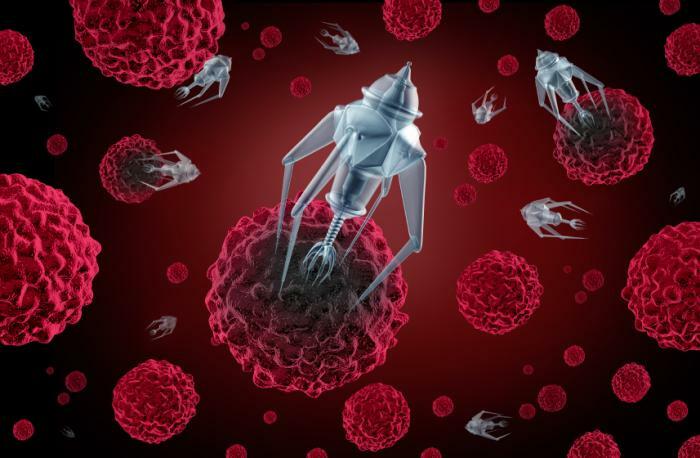 The evolution of nanotechnologies is promising to generate ones. Nanoparticles, those tiny functional systems less than 100 nanometers, were first envisioned as early as in 1959 by the famous US physicist Richard Feynman. Encapsulated into biosensors (nanotubes, smart pills or patches) implanted into the human body, nanoparticles are able to “recognize” the so called “biomarkers”, those early indicators of the diseased cells, such as fragments of a protein, DNA or RNA-based. Upon receiving biological signals produced by damaged cells (e.g. fluorescent, heat, oxygen or other manifestations of metabolic changes associated with a disease) these sensors can transmit information wirelessly to respective physicians. Thus, the researchers from the Massachusetts Institute of Technology (MIT) have designed a carbon nanotube sensor that can be implanted under the skin for over 1 year to detect a molecule of nitric oxide (NO), a signaling molecule within living cells that carries messages between the brain and immune system functions. In case of cancerous cells, the ordinary levels of NO are disturbed. Carbon nanotubes can have a natural fluorescence, and when they attach themselves to a certain target, brighten or dim. Short term nanosensors are injected into the blood stream and when injectable on mice are passing through the lungs and heart or gather in the liver, without causing damage on the way. Once in the liver, the sensors are able to monitor NO. The other sensor is covered by alginate gel and implanted under the skin for a period of 400 days or potentially even longer. When both sensors are in the body, they produce a near-infrared fluorescent signal by shining a tiny laser on them. This information is then passed to an instrument that detects the difference between the nanotubes and other areas that may give off fluorescence. Millions of women are taking annual mammogram screening for a fear of breast cancer. During the procedure the breast tissue is squeezed firmly between two plates. This is not only painful, but can damage small blood vessels resulting in existing cancerous cells spreading to other areas of the body. To make breast cancer test easier Reno, a Nevada-based company, has designed a wearable sensor that could be inserted into the women’s bra. The sensor detects tiny metabolic temperature changes caused by cancerous cells in a tumor. The temperature readings are sent back to a global library where they’re run through a proprietary algorithm. A woman can wear the garment for a few hours, and the information will be automatically communicated to her physician. Researchers claim that the breast sensor bra may work even better than a mammogram for patients in the early stages of cancer or with dense breast tissue, a condition affecting over half of all women. El Camino Hospital in Bay Area is currently running clinical trials with Cyrcadia Health iTBra. A tiny patch inserted in the bra tracks temperature changes within two hours sending information to a physician via a smart phone. Women can perform breast cancer diagnostics in their home not being subjected to an unpleasant mammogram test. If trials proved to be successful the Cyrcadia Health hopes to have the iTBra on the market later this year. Blood test can already alert us on many potential disorder such as liver damages with Aspartate aminotransferase (AST) or Alanine aminotransferase (ALT) enzyme concentration analysis or creatinine level to spot kidney disorders. Why not cancer? Unfortunately due to the impact of multiple ingredients contained in the blood such as proteins and ions, the detection of a specific cancer biomarkers is not easy. Usually such analysis are carried in the controlled laboratory environments. The first attempt to detect cancer biomarkers in the whole blood was done by the team led by Mark Reed, Yale’s Harold Hodgkinson Professor of Engineering & Applied Science, and Tarek Fahmy, an associate professor of biomedical and chemical engineering. The researchers used nanowire sensors to measure concentrations of two specific biomarkers: antigens specific to prostate and breast cancer. The sensor works as a filter: catching the biomarkers on a chip while washing away the rest of the blood. With this method researchers are able to detect extremely small concentration of antigens at the range of picograms per milliliter, equivalent to something like a single grain of salt dissolved in a large swimming pool. Should such methods be successful, we would be able in the near future to receive a preliminary alert of oncological disorders by a familiar blood test. Nanosensors may allow not only to detect, but to treat the disease. Researchers from the Tel Aviv University under supervision of Prof. Dan Peer invented a novel method of treating aggressive forms of blood cancer such as Mantle Cell Lymphoma (MCL). The researchers noticed that MCL is associated with the intensified activity of a certain gene, namely the gene CCND1. When over-expressed, the CCND1 gene produces too much of a Cyclin D1 protein, sometimes 3,000 – 15,000 times too many. To reduce and regulate protein production the scientists have invented the CCND1 blocker: the synthetic strand of RNA molecules (siRNA). By targeting RNA molecules that convey genetic information from the DNA to the ribosomes, the inner-cell structures where new protein chain are assembled (translated) from amino acids, siRNA disables its ability to express a specific gene. To deliver siRNA precisely to CCMD1 gene, it is loaded into the lipid-based nanoparticles (LNPs) coated with antibodies. Scientists believe that such method could be applied not only for MCL but also for other malicious forms of cancer. The results of the study were published in the journal Proceedings of the National Academy of Sciences of the USA. Another form of cancer that is developing almost unnoticeably is a lung cancer. Traditional methods to diagnose lung cancer such as bronchoscopies, computer-guided biopsies or surgery are invasive and may cause additional harm to patients. Breath analyzers provide a method of detecting lung and other form of cancer (e.g., gastroenterological types of cancer) by simply “sniffing” cancer in the breath. Coated with tiny nanowires, these sensors can identify miniscule amounts of chemical compounds exhaled with the breath thus measuring the concentration of cancer biomarkers contained in those components. The Israel Institute of Technology of researchers under Prof. Hossam Haick can analyze more than 1,000 different gases contained in the breath that may indicate various illnesses. For example, by analyzing the concentrations of eight specific substances (out of 130) in the oral cavity, the technology allowed the researchers to distinguish between the patients suffering from gastric cancer and the healthy individuals with 92% accuracy. Will such technologies finally reach people who are anxiously waiting for more reliable and accessible methods of cancer diagnostics and treatment? The success and acceptance of such methods depend on manifold skills of computer scientists, biochemical engineers, physicist, biologists and physicians thus requiring tight cooperation across multiple professional organizations. When such cooperation has been achieved, it can lead to stunning discoveries that potentially will save millions of lives. Considering the amount of medications each of us is swallowing during the lifecycle, one would assume that the pharma industry is tremendously flourishing. Indeed, the total volume of the pharmaceutical market was in 2014 worth of 1,057.2 Billion dollars, with the top 15 companies reaching around US$527 billion in revenue. Nevertheless, the modest year-on-year 2.4% growth indicates that the industry needs some revitalizing changes. One of the biggest challenges pharma is facing are consumers. Almost 50% of patients who are stubbornly refusing to take medications are accountable for approximately $100 billion per year loss to pharma companies, according to the Mayo clinic proceedings. It is hard to imagine that a person is persistently forgetting to take a medication that presumably brings a relief. Often the reason is not negligence, but fear. Fear to take medications that instead of healing can produce adverse effects. The National Council for Patient Information and Education reported that in the US alone adverse drug effects have been blamed for 125,000 deaths annually. According to American Society of Consultant Pharmacies (ASCP), medication-related problems cost the industry $177.4 billion a year, more than all possible losses related to nonadherence. Reputation is another challenge pharma industry has to confront with. The results of clinical trials are no longer an exclusive property of pharmaceutical companies. More and more opportunities are available to consumers to share their experiences via social networks such as Facebook or Twitter. 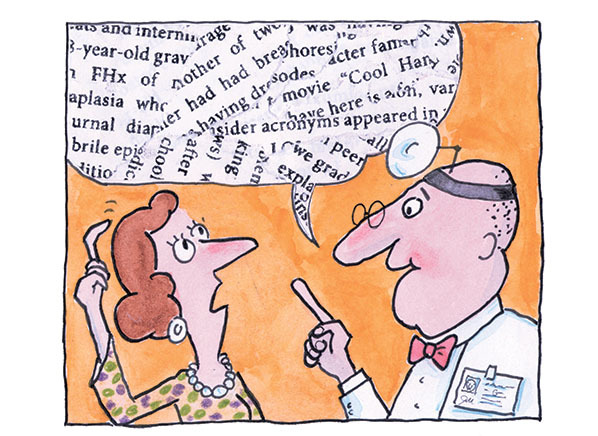 The Patient Safety Journal published a study collected from more than 1,000 public tweets in English containing key phrases such as “doctor screwed up”. Eighty-three percent of the tweets, posted between January and August 2012, specified that 23 percent of all errors concerned medications, 23 percent involved diagnostic mistakes and 14 percent involved surgical errors. Pharmaceutical industry has to cope with the openness and transparency of the digital environment. But this challenging environment can also open new opportunities. There are at least three areas for digital technologies to drive value to pharma industry and patients. 1. Improvement of clinical trials with advanced analytical and cloud computing. Clinical trials are not only expensive with the average cost per patient increasing from 2008 to 2013 by $23,600, or 157%, but they can be also dangerous. The media reported recently that in France one person has been left “brain-dead” and five more hospitalized after a clinical trial on an experimental drug went wrong. Moreover the majority of clinical tests are based on the erroneous statistical principle “should work at average”. But outside of clinical laboratories such “average patient” does not exist. Each person has a specific reaction on medications depending on multiple factors such as age, gender or life style. The results of clinical tests do not answer the main question: should such medication work for you. Discoveries in pharmacogenomics make it possible to adjust medication treatment to an individual by analyzing her/his genetic profile. A number of commercial companies are stepping into the market to assist consumers in deciphering their genomic code. Thus Navigenics (Life Technologies) is testing 12 drugs including response to beta blockers, while HealthspecPGT is promising customers 250 medications test including antidepressants, pain killers, hypertension drugs, statins and anticoagulants such as warfarin. If pharma companies get an access to anonymous results of personal genomic tests (and we leave aside for a moment privacy requirements and concerns) they can, e.g., identify and flock together similar genomic patterns to produce medications that can precisely target a specific group of individuals suffering from similar diseases. Feng’s team receives thousands of requests a year from all over the world from biologists, microbiologists, epidemiologists, and others who don’t have the computational resources or expertise to process the massive amount of data available in the field of genomics. Similar tools and services could certainly benefit pharma to carry clinical trials cheaper and faster producing medications that can help real people vs. statistical objects. 2. Development of biosensors and smart pills. Drugs equipped with nanosensors that check individual reaction on the consumed chemical substances are knocking at the doors of pharmaceutical companies. Proteus smart pills monitors patient’s heart rate, respiration and temperature providing evidence on individual response to medication digestion. Gastroenterologists at the University of Chicago Medicine are experimenting with an electronic “smart pill” that takes measurements of temperature, pressure and pH inside the digestive tract to monitor medication’s consumption. HQ Inc’s CorTemp Ingestible Body Temperature Sensor pill is capable of transmitting temperature to a smartphone app in real time as it travels through the body. However, the majority of such pills are tracking manifestations of the body’s physical conditions. But researchers are digging deeper. A team from the Moscow Institute of Physics and Technology (MIPT) has patented a biosensor chip based on graphene, graphene oxide and carbon nanotubes that will analyze biochemical process of the human organism under the impact of medications. These sensors enable researchers to detect low concentrations of biologically significant molecular substances (RNA, DNA, proteins, antibodies and antigens, viruses and bacteria) and to study their chemical properties under the impact of consumed substances. The data obtained gives information about the efficacy of a drug and its toxicity in case it targets “healthy” cells or their parts, which the drug, ideally, should not affect. In future your mobile phone will be sending you a message informing that the dosage of medication you have just swallowed should be reduced or totally abandoned, based on your biochemistry and genetic profile. Medication therapy plays an important role in the clinical process, hence pharma industries should naturally share its ultimate goal and responsibility. This implies that the measurement of the pharma success should depend not only on the number of pills developed and sold or prescriptions written, but rather on how many of those medications improved patient’s health. To achieve this goal pharma companies have to collaborate intensively with health providers, patients and payers, with this collaboration not being reduced to the intention of selling their products against those of competitors. Collaboration also means to “open up” for instant health information exchange with hospitals, homecare nurses, patients and physicians in order to collect and analyze impacts of medications on millions of people. Powerful and secure IT platforms are required to realize this vision. IT vendors such as Microsoft, Apple or IBM are accumulating tons of patient’s records collected from wearable devices and mobile applications on platforms such as Microsoft Health, Health Vault or Apple Research Kit. Technologies such as Skype or Skype for Business are providing a space for ­clinicians to connect with each other via ­messaging, voice, and video ­conferencing from multiple devices. This process is naturally manifested in socium: for instance, political parties in the United Kingdom are promising to enable patients to use Skype for calling general practitioners by 2020. Despite all the concerns about privacy and security, many patients are willingly sharing their health data with a hope to receive better care if not for themselves but at least for those who may be confronted with similar diseases. Social networks such as PatientsLikeMe or ProPublica are engaging people to provide feedbacks on therapies they are receiving. By establishing the right partnership with IT and bioinformatics technology providers, pharmaceutical companies will be able to develop a more personalized and precise medications which finally will improve drug adherence as well as the overall health outcome. End of the year is the time to contemplate on significant achievements of the past. Cleveland Clinic is releasing the list of top medical innovations 2015 naming telestroke units as number one achievement; ReferralMD are coming with their view on 10 Biggest Innovations in Health Care Technology in 2015 which includes blood nanobotos and almost fantastic Head Transplants and Mind Transfer project, the computerized scanned copies of our brain. But what are the most important technologies that will help people to better manage their health? From this perspective, here are my top favorites: a) wearables for continuous monitoring of life-threatening conditions (such as cardio failure or stroke); b) nano/bio sensors for predictive and non-invasive diagnostics; c) technologies for personalized medications that will be helpful and not harmful. Please share your views. Wearables for continuous health monitoring. Personal wearables allowed people to actively participate in clinical decisions by getting a better insight into their health. Multilayered sensors can scan your body measuring vital parameters such as temperature, perspiration, electrical conductivity of the skin, electric field distribution around the body that, if properly interpreted, can indicate early deviations from individual homeostasis. Let us take cardio failure. According to Heart.org cardiovascular disease is the leading global cause of death, accounting for 17.3 million deaths per year, a number that is expected to grow to more than 23.6 million by 2030. Instead of checking ECG sporadically during doctor’s visits, people will be able to constantly monitor their heart activity alerting, if needed, a cardiologist of a potential threat. Wearable garments such as Niturit, a seemingly ordinary T-shirt developed by the University of Aveiro in Portugal and the Israeli “Moked Enosh” center, was chosen by the European Space Agency to check cardio conditions of astronauts. With the help of embedded electrodes this T-shirt can record heart activity transmitting it via a smart phone over a number of hours up to four consecutive days directly from a patient to a cardiologist. The examination captures irregularities in heart rate and other disorders that may point to sudden arterial blockages. The T-shirt is being offered as part of examinations by the Moked Enosh center at the cost of $ 117. QardioCore is another example. This three-channel EKG/ECG monitor can continuously record your electrocardiogram, heart rate variability, body temperature, respiratory rate and galvanic skin response. Bluetooth enabled and connected to the Cloud-based system via a mobile, this device allows doctors to get a real time picture of your heart health without the hassle of gels and patches. HealthWatch is one more variation of a smart T-shirt that has increased its capacities up to 15-lead ECG-sensing. This smart garment can read heart rate, blood pressure, detect cardiac irregularities and other vital signs to prevent sudden heart attacks. Maybe one day smart garments transformed by Ralph Lauren, Diesel and Guess into a truly desirable dresses will become part of our wardrobe? Arterial hypertension is another area that technology should be addressing urgently. More than a billion people are measuring their blood pressure (BP) daily in order to avoid the possible consequences of hypertension. Elegant wrist bands and watches are attempted to substitute standard clumsy BP devices. But accuracy is still a problem: the arteries at the wrist are narrower and lie not so deep, so to obtain an accurate measurement from wrist bands and watches is more difficult. Wrist devices are also sensitive to muscle contractions that can uncontrollably increase or decrease the pressure readings displayed by the device. Nevertheless, the researchers are not giving up. Scientists from the University of Leicester came with the idea to measure BP directly in the aorta, a so called ‘central aortic systolic pressure’ or CASP. To monitor the aorta BP can be especially important since it is close to the heart, precisely the area where the high blood pressure can cause most damages. Normally, the aorta BP was measured through surgical procedures, since it is hard to reach its location. The scientists from the University of Leicester together with the Singapore-based medical device company HealthSTATS International took an innovative approach. Their sensors are recording the pulse wave. By establishing through multiple tests the correlations between the pulse wave and CASP, they have developed a computerized mathematical algorithms that recalculate pulse wave data into CASP with a 99% correlation. STBL Medical Research AG (STBL), a Swiss company, and the Swiss Federal Laboratories for Materials Science and Technology (EMPA) came with another version of a comfortable wrist watch device. The sensors embedded into the device simultaneously record contact pressure, pulse and blood flow on the skin surface near the wrist. Since the pressure of the device on the skin is constantly changing, with the characteristic period that is typically less than the reaction time of the device, the accuracy of the measurements was initially rather low. To overcome this issue the EMPA engineers developed a sensor made from piezo-resistive fibers. The electrically conductive fibre detects any movement and change in pressure and rapidly converts such changes into electrical signals transmitting data to the measuring device, thus eliminating the noise from a desired signal. If these devices finally reach consumers they can probably save millions from detrimental consequences of hypertension. According to a panel of the independent Institute of Medicine, the health arm of the US National Academy of Sciences, nearly 600,000 people — 1,600 a day — suffer from sudden heart stoppages every year, about 400,000 of them outside hospitals. New wave of nanosensors such as tiny blood stream chips designed by Scripps Health (San Diego) can assist in early detection and ultimate prevention of a cardio arrest. In the precursor period before a heart attack the endothelial cells that line the interior surface of blood and lymphatic vessels, are sloughed off an artery producing a specific genomic signal. By picking up this signals, sensors may spot predecessor of a heart attack and alert cardiologists via a smart phone. HealthPatchMD is a reusable biosensor embedded in a disposable patch. With ECG electrodes, 3-axis MEMS accelerometer and thermistor for skin temperature detection, this device is tracking a single-lead ECG, heart rate, breathing, temperature, steps, and even body position in case of a fall. The data picked up by a biosensor are transmitted via Bluetooth to any mobile device in the real time. The product has received FDA clearance for sale in the US, regulatory approval (CE Mark) for distribution in EU, got Ninsho certification in Japan and is registered for distribution in Canada. Breathanalyzers, formerly used merely for alcohol and drug tests, in future will allow detecting various pathologies reporting data directly to laboratories. Coated with tiny nanowires, these sensors can “sniff” miniscule amounts of chemical compounds exhaled with the breath and identify biomarkers contained in those components. This will help physicians to recognize a vast spectrum of metabolic dysfunction such as diabetes, lung or gastro cancer. Ronnie Priefer, Ph.D., a Professor of Medical Chemistry at WNE in Springfield, Massachusetts has developed a non-invasive wearable glucose monitoring device that reports data to physicians and clinical laboratories in the real time. The scientists used nanometer-thick films consisting of two polymers that react with acetone, the organic compound that indicates diabetes and is exhaled with the breath. By interacting with polymers, the acetone alters the chemical nature of the film. The film discloses the detected amount of acetone, which points on the level of glucose in the blood. Given that 10% of the world’s adult population according to WHO are suffering from diabetes, the demand for non-invasive breath analyzers predicted to be huge. Gastroenterological disorders is another area where breath sensors can be highly required. The initial stage of the gastric or esophagus cancer are often hard to detect as there are typically no distinct symptoms. A patient suspected with gastrointestinal cancer has to go through endoscopy, followed by biopsy of suspicious tissue. Breathanayzers can detect complex forms of cancer on an early stage without subjecting patients to complex and risky clinical tests. According to the British Journal of Surgery report, the breath test could identify the cancer patients (some of whom had colon cancer) at 76%. And earlier this year, an Israeli study of 74 patients proved that a breath test could correctly tell malignant lung tumors from benign ones in 90% of the time. Commercial versions of breathanalyzers are already entering the market. Na nose, created in Technion – the Israel Institute of Technology by the team of researchers under Prof. Hossam Haick can analyze more than 1,000 different gases contained in the breath that may indicate various illnesses. For example, by analyzing the concentrations of eight specific substances (out of 130) in the oral cavity, the technology allowed the researchers to distinguish between patients with gastric cancer and healthy individuals with 92% accuracy. Medication adherence is a nightmare both for patients and clinicians. Almost 50% of patients are not taking their medications as prescribed by their doctors. According to the Mayo clinic proceedings the poor adherence to medication incur costs of approximately $100 billion per year”. But the costs of medication damages are even more. According to American Society of Consultant Pharmacies (ASCF), medication-related problems cost $177.4 billion a year. The majority of clinical tests are based on the statistical principle “should work at average”. But each person has a specific metabolic system and hence different reaction on medications depending on multiple factors such as age, gender and life style. The results of clinical tests do not answer the main question: should such medication work for you. Pharmagenomics promises that medication treatments can finally be tailored to individuals. By taking a sample of your tissues and deciphering your genome, doctors will be able to prescribe medication and dosage precisely for you achieving a successful treatment, while avoiding harmful side effects. Although the research is still on the initial stage, commercial companies are already entering “direct-to-consumer” genetic tests market. Navigenics (acquired by Life Technologies) is testing 12 drugs including response to beta blockers, while HealthspecPGT is promising its customers 250 medications test including antidepressants, pain killers, hypertension drugs, statins and warfarin. The predictions hold that by 2020 the amount of genomic data will exceed that of YouTube, with genomic computations exceeding 5 million computer days per year. To analyze, store and distribute genomic data without powerful IT tools and special analytical platforms will be inconceivable. This novel IT technology will create new opportunities not only for professional ICT companies, but also for some healthcare organizations with large ICT departments. Thus Partners Healthcare is coming up with GeneInsight, a sophisticated computer program able to crash mountains of patient’s data to identify the genetic factors contributing to heart conditions. The company is now promoting the SW to other hospitals on a royalty bases. Genelex, a Seattle based company, is offering YouScript, a medication analytics tool used by doctors to guide genetic testing and improve drug treatments. This decision support system has already helped hospitals to decrease emergency visits in elderly patients by 71%, and hospitalizations by 39%. Identification of people with similar genomic structure is a global task involving pharma experts, bioinformatics, and physicians all over the world. Cloud computing will be extensively used to store and distribute patient’s genomic data by multiple stakeholders. But sensitivity of such a data will require an enhanced security. Not every hospital or lab will have the capacity to invest heavily into the trusted cloud infrastructure. The solutions addressing security issues are coming to the market. Microsoft is bringing SEAL, Simple Encrypted Arithmetic Library, a free tool for biomedical data processing and encryption. The encryption is based on homomorphic method that encodes data in such a way that they could be stored in the untrusted Cloud environment, while still being protected. Healthcare organizations will be able to outsource patient’s biosamples to, e.g., specialized bioinformatics companies for genomic analysis and continue working on the data on their premises without compromising the security. Maybe in the future consumers will be receiving medical prescriptions based on their DNA and RNA variations directly via their mobile applications? What are your top favorite innovations that will help consumers to support their health? Powerful analytical engines are ready to mine terabytes of patients’ data collected from watches, bands or implanted sensors. Major IT vendors are offering providers their platforms such as Microsoft Health, Apple Health Kit or IBM Watson for a better insight into patients’ health conditions. Powerful pharmaceutical industries are looking at Apple ResearchKit to collect anonymous health data from a vast majority of iPhone users. Similar initiatives are driven through social networks such as PatientsLikeMe, encouraging members to share their health data with research and pharmaceutical industries. Expectations are that the pool of Health-related BIG DATA, when crunched and analyzed, will facilitate a more precise diagnostics, better medication treatments and finally will improve healthcare processes. Consequently, in due time each individual will receive its share of benefits. But no expert is able to promise when those advantages would reach personally you. Meanwhile millions of individuals are monitoring daily their vital signs such as blood glucose level, heart rate and medications with only one selfish hope: improve their own health and as soon as possible. Alas, even those observations one regularly collects still do not suggest how to make personal health results look better. Should I, e.g., increase my beta-blocker from 0.5 to 10.0 mg, switch to another drug or simply move to the country where the climate is better for me? To interpret health data correctly people need to understand the dependencies between their personal health parameters (e.g., blood pressure) and external factors that can affect them, e.g., medications, stress, weather, physical activities, etc. In short: for consumer health applications to be demanded, health analytics for person’s “small data” is strongly required. Unfortunately the majority of developers are still reluctant to add analytical engines to personal health tracking tools. Numerous mobile apps appearing on the market targeting diabetes, hypertension or cardio disorders are still presenting user silos of health-related data. Let’s take hypertension. Over a billion people are measuring their blood pressure daily in order to avoid the possible consequences of this condition. As a user I was keen to test some of the top blood pressure application available for Android, Apple and Windows. The criteria were: rating, mobility, ease of use. Since the first time users are normally not ready to pay for something they have not checked before, mainly the for free applications were randomly considered. Although different in colors and layouts, the reviewed apps were mainly offering the same familiar functionalities with similar data sets such as systolic, diastolic, pulse rate, weight and BMI. Additional options ( meant more for physicians rather than for consumers) were left/right hand measurements, position (seated, laying). Some apps such as iBP Blood pressure additionally contain the glucose level. The promised correlations offered by charts simply show different data (the blood pressure measurements, weight and glucose levels) presented on a single page. The Blood Pressure Monitor – Family Lite by Taconic System LLC is seemingly more advanced promising consumers “lifetime data visualization, statistics reporting, medication correlation, email import/export, built-in reminders and much more”. Nevertheless, despite its multiple configurable pages including medications inputs and additional services such as “built-in reminders”, it basically shows static pages and not a dynamic analysis. Among the “rising stars in blood pressure apps” one can find fingerprint blood pressure pranks that scan your blood pressure when you are pressing your finger to the designated area on the phone. Numerous apps of this category such as the one designed by Prixlogic or Finger Blood Pressure by Onex Softech are more like an idea than a real BP app. One can only guess how these apps are supposed to operate and what exactly they measure. No surprise when you see the difference in results in systolic something about 20-30 mm Hg or even more compared to the numbers obtained from standard medical BP devices. The Instant Blood Pressure app allegedly designed by respectable experts from John Hopkins “promises to measure your blood pressure using just your iPhone” has also received mixed feedbacks. The app claims to use the iPhone sensors to measure blood pressure without using a blood pressure cuff. It asks you to place your finger on the camera (measuring your heart rate), and place your phone’s microphone on your heart. The measurements were not really tested and were giving unreliable results. For example, a person had 170 systolic, while the reading indicated a normal BP. Finally, the University had to send to “the app’s maker, Aura Labs, a cease-and-desist letter demanding that they stop using their name”. Although the simplicity of the usage is tempting, so far mobile BP measurement apps are in no way a substitution to the standard medical devices. The accuracy of measurements is, as a rule, totally inadequate. To design a meaningful healthcare application for consumers, developers have to step into their shoes. To work with medical professionals is absolutely necessary, but not enough. One has to “feel with his own skin” what the priorities are for people, and what is excessive, unnecessary and can wait. Patients simple do not have neither time nor capacity to input and track abundance of parameters. However, there are ones such as the medication intake, which are absolutely key. By simply including a medication field and presenting the user with a visual chart that shows the dynamical dependencies between the drug dose and physiological parameters an individual is tracking, will help a person to understand her/his conditions better and tune the treatments. Consequently, the utilization of such applications will increase. The parameters can of course vary depending on physical disorders. For example, people with cardio -vascular problems are often meteo-dependent. The weather for them can become an important factor. So why not to integrate blood pressure apps with the numerous existing weather forecast applications? I hope that developers will finally pay attention to individuals’ “small data” by adding extensive analytics as a standard function to personal health applications. Until that happens I will continue using my modest blood pressure tracker on my Windows Phone, guessing helplessly what is more important for my results: the drug I have swallowed or the sun shining through the window? Tags: Big Data and Small Data, health analyticis for consumer's data, how to anlayise consumer's health data? 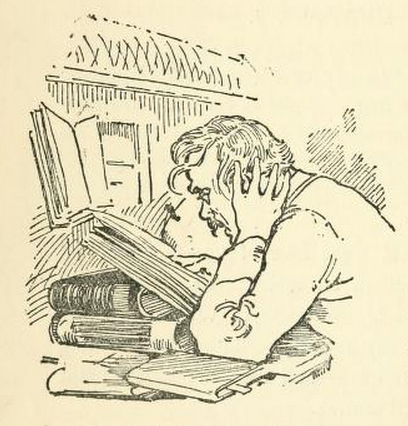 As a child you may have enjoyed Jerome K. Jerome’s novel “Three Men in a Boat”. If so, you probably remember J, the narrator, who after reading a patent medicine advertisement, discovered to his amazement, that he was a subject of all the diseases except housemaid’s knee. Since that time nothing has changed much, except more opportunities for self-checking are available via Internet and numerous apps. But the results are still confusing. Suddenly you realize that multiple diseases are hunting you. Are people confused because of the lack of the basic medical knowledge hidden beneath a sophisticated terminology? Partially so. Another part is the obscurity of medical terminology itself. Ideally, a scientific, in particular, a medical term is a denomination that has a precise and fixed meaning, at least for a certain period of time. In “hard” sciences such as, e.g., physics, chemistry or even mathematics, terms are mostly of operational character i.e. they are based on measurable facts verified in multiple experiments. Think about such seemingly abstract notions as mass, weight, gravity, motion, etc. that all have a precise and specific meaning. Contrary to that, medical terminology was traditionally based on the set of observations vaguely described by a patient and subjectively interpreted by a physician. With the development of modern medical technologies such as ECG (electrocardiogram), EEG (electroencephalogram), PET/CT (Positron Emission Tomography – Computer Tomography, etc. and with the advance of sensor-based devices able to register concrete biological and clinical expressions of the human organism, medicine drifted closer to science, but its terminology has largely remained the same, dwelling on old principles of opinions and intuition. Unlike in natural sciences, the sheer number of available synonyms in medicine describing deviations from the state of health and labeled as diseases, ailments, pathologies, disorders, dysfunctions, disabilities, anomalies and so forth already implies diagnostic uncertainty and the possibility for misconceptions. To a great extent, medical terminology reflects not the cause, but the overt symptoms of the disease. Take, for example, such a widely used diagnosis as “angina pectoris”. Sounds scientific and impressive, but a mere translation from Latin would be “a strangling feeling in the chest”. The American Heart Association defines angina pectoris as “the medical term for chest pain or discomfort due to coronary heart disease”. If angina is a coronary diagnosis in itself, how can it be defined through other coronary heart disease? The description of the so-called disease is described through an ensemble of external equally confusing conditions: pain in your arms, neck, jaw, shoulder or back accompanying chest pain, nausea, fatigue, shortness of breath, sweating, dizziness. One can easily confuse such warning signs with a mere tiredness, exhaustion caused by stress or lack of sleep. Women with high level of tolerance are especially failing to recognize the approaching heart attack. One in four women in the UK dies through heart disease according to the British Cardiac Patient Association being unable to identify the upcoming risk of cardio failure. The situation is even worse in the area of psychology. For example, the whole bunch of notions related to autism is defined by Centers of Disease Control and Prevention (CDC) through rather subjective notions such as “disabilities that can cause significant social, communication and behavioral challenges”. The definition implies that there are certain stable social or behavior norms, deviations from which are branded as diseases. Often patients declared as autistic are treated with serious medications such as selective serotonin reuptake inhibitors (SSRIs) including citalopram, fluoxetine and sertraline. According to Autism Spectrum Disorders Health Center ”it is widely believed (!) that elevation of these chemicals is associated with improvement in mood in depressed people”. Thus the modern psychology is relying on its widely spread beliefs prescribing treatments that may cause quite unpleasant side effects such as nausea, restlessness, insomnia, headache, weight gain or loss, sexual disorders, etc. Autism, attention deficit disorder (ADD) and bipolar syndrome (formerly known as manic-depressive disorder) are common psychological disorders that are misdiagnosed because of their loosely described expressions. The victims of ambiguity are, of course, patients. After going through numerous symptom checkers they, similar to J, suddenly realize that they are under attack of the array of diseases. For example, the abdominal pain could be a symptom of a harmless indigestion with constipation as well as the sign of endometriosis, acute poisoning, ulcer or appendicitis. 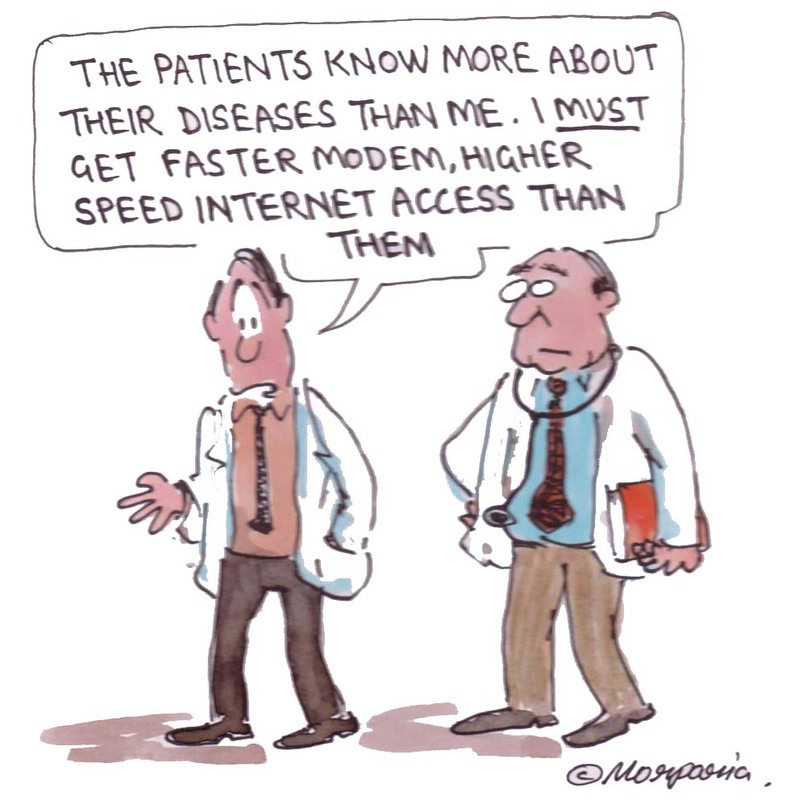 No wonder that patients are not satisfied with the numerous symptom checkers available online or as mobile applications. Thus Harvard Medical School research has tested 23 online “symptom checkers” run by brand names such as the Mayo Clinic, the American Academy of Pediatrics and WebMD, as well as lesser-knowns such as Symptomate. The study reflected the deep dissatisfaction of consumers. It reveals that as a whole all programs were astonishingly inaccurate. Symptom checkers provided the correct diagnosis in only 34 percent of cases, and within the first three diagnoses 51 percent of the time. One can hardly blame the software. It just reflects the traditional ambiguity of medical terminology based on non-measurable external manifestations of the disease. Let us start with the basic – the pain. It is one of the most important indicators of the anomaly and one of the most challenging parameters for doctors to measure. Most of us were probably asked by a doctor to measure our pain from 1 to 8 (or 10 which is even more difficult). Beside the fact that people have different barriers of pain tolerance, it is not easy for an individual to spot the difference between, e.g., 6 or 7 pain levels. But this can change. The new sensor-based technologies can provide more clarity on our body screams. Thus an Israeli biomed startup Medasence has developed a technology that mathematically measures pain in order to give doctors the best assessments. The pain monitor is a sensor-woven sleeve worn on a patient’s finger, which takes blood pressure, pulse, sweat, temperature and movement readings, using statistical tools to give an objective pain reading – noninvasively i.e. without disturbing a patient. Most important, it is measuring your own individual pain, not the statistical one. Another vague symptom often discussed with your physician is fatigue. Fatigue could be a sign of severe disorders, but also a transitory mild violation, e.g., a consequence of the life style, workload or other routine activities. What is the difference between a normal fatigue level and the one we perceive as exhaustion? The Australian company EdanSafe has developed a Smart Cap, a fatigue monitoring system which can measure your electroencephalography or EEG by capturing your brain waves and detecting Alpha (8 Hz to 13 Hz), Beta (>13 Hz to 30 Hz), Gamma (from 30 Hz to >100Hz), Delta (up to 4 Hz), Theta (4 Hz to 8 Hz), and Mu (8Hz to 13Hz) each of them reflecting the specific type of the brain activity. One day smart sensors and nanochips may be getting into the most sacred area of our body – the brain, thus breaching the strongest bastions of medical ambiguity – the psychology. Researches from MIT are experimenting with flexible electronic device which can be delivered into the brain via injection. By deciphering the patterns of electronic signals produced by neurons those brain nanochips may shed light on the brain’s dysfunctions, such as schizophrenia or Parkinson’s disease, gradually transforming psychology from a philosophical speculations into an objective science. Will medical terminology adjust to new objective methods in healthcare in order to be more precise and understandable for patients and consumers? After all, medical terminology is also a living language. As we move to the patient-centric care, it is important that patients and physicians should clearly understand each other. As said: in the beginning was the Word. Our family friend called us after being discharged from a hospital. Since it was not the first time he got into the clinic we have asked what was wrong with him. ‘No idea,’ he replied proudly. ‘I specialize in history, not in medicine. Let doctors do their job’. He died shortly after in his lonely apartment not really knowing why. How could an intelligent and educated person, the author of several books on American history, be so obstinately ignorant about his own health? In fact he did not even “own” it. He “delegated” his health matters to others he considered to be more knowledgeable and therefore responsible for mundane medical realities. An acquainted physician once told me: people are ready to surf over the Internet to check on their health , but in case of a real pain they turn to the doctor. In desperation you are often tempted to believe in magic, with a doctor assuming the role of a magician. The statement reminded me of the US psychiatrist Eric Berne who had examined human interactions, or “transactions”, between a given person and other people. He distinguished three basic levels of personality manifested in human behavior: “parent”, “adult” and “child” and accordingly six (3´2) patterns of interpersonal communication, three main of them are: “adult-adult”, when people communicate on the same level of equality and reciprocal respect, acting in mutual interests; “parent – adult”, when one with the assumed authority provides comprehensive guidance to another and, finally, “parent – child” when the latter is submissively receiving orders from the allegedly authoritative person perceived as strong and senior. One can extend this approach to healthcare. 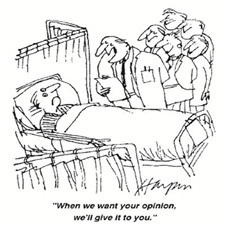 If you are in a hospital it is easy to spot three typical models of doctor-patient interactions: physician treats a completely obedient patient (parent –child); patient consciously follows the doctor’s instructions (parent – adult); and mutual cooperation, in which the physician negotiates a therapy plan with the patient (adult – adult). Some of the studies indicate that the second (parent – adult) model is the most commonly used . Today, patients are encouraged to change their behavior to be active partners to physicians, and the latter have to accept it. After all, less active patients bear 21 percent higher costs than the active ones!. But are both parties ready? Mutual cooperation requires a big cultural change equally from patients and medical professionals. The perception that a “sick person is not responsible for their conditions and thus should be exempt from normal social roles” is historically rooted in the European mentality. The concept of the “universal sick role” created by American sociologist, Talcott Parsons postulates that a sick person should try to get well and seek a professional medical assistance, because she/he is incompetent to help himself. One subject often found in studies of dependence is that the latter results in behavior which is beneficial for the party dependent upon i.e. in our case for the medical professionals and in many doctor-patient interactions is expected to lead to a priori, pre-emptive obedience. Let us also not forget, that a physician has an initial advantage compared to the patient. A hospital for a physician is a familiar working environment with the rules he/she is accustomed to. For a patient the whole situation getting to the hospital is a collapse of his everyday life. He is overwhelmed by fears, doubts and uncertainties on top of that forced to endure unpleasant, often humiliating procedures. The challenge starts with the mentality. We have to accept the fact that physicians and patients think differently. For a physician, especially in a large hospital, a patient is one of many. He has to go through multiple approved clinical procedures that are believed to work for many, but not necessarily for everybody. Patients have only one interest: to be healed. Each patient perceives himself as a unique entity and expects to be treated accordingly. The next challenge is communication. Clinicians tend to presuppose that individuals understand, although not fully, their health issues. However, quite often patients are cautious to ask for clarifications, e.g., out of fear to look stupid or to irritate their doctors. This could drive misperceptions for both patients and clinicians. In a survey conducted by McKinsey, 76 percent of the participants with high-risk clinical conditions nevertheless described themselves as being in excellent, very good, or good health. Maybe some of them were misled by the desire to escape from the hospital as soon as possible! Every hospital’s instructions postulate that a patient has the right to receive information in a form she/he understands. Doctors are suggested to ask polite questions in non-dominant tone such as “what do you think?” to verify patient’s understanding of the information received. But reality is often different. Lack of time, fatigue and frequent indifference do not allow physicians to spend as much time with a patient as needed. There are still many examples when physicians instinctively do not want to brief patients with the required level of clarity while perceiving an intelligent, knowledgeable patient as a threat to their authority. Once I was observing a patient with a cardio failure who was curious about his ECG results. ‘You have to study for 6 years to understand it anyway,’ dropped the cardiologists. A patient, apparently a person with the university degree, remained silent. Yes, he did not study medicine, but for sure he was capable to understand the interpretation of standard cardiographic signals. Self -education. 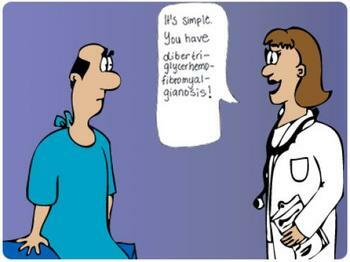 You may not get the same level of medical competence as your doctor, but you can understand your own illness. There is an abundance of knowledge scattered over the Web! Professional resources such as NHS Choices , Patient Care and Health Information from Mayo clinic or UpToDate Subscriptions for Patients and Caregivers could be helpful. Use social network. There may be millions not exactly like you, but still going through similar experience. Think about online communities such as PatientsLikeMe or Ask a Patient or Health Treatment Web site to connect to these people. Understand your rights. There is Patient’s Rights codex that every country has to respect. It is true that the knowledge of your rights does not always guarantee their implementation, since you are not always sure whom to complain to. Thus in Germany you can go to the chief medical doctor or write letters to a variety of medical authorities, but beware that all medical administrations will be against you, so prepare yourself for the court. It maybe easier in countries like Sweden. A patient can go to her/his municipality and complain to the person there responsible for the Patient Rights. There are Patients Associations in almost every country such as Patient Association UK or International Alliance of Patients Organizations that are not always vocal, but still could be of use. Prepare yourself for a conversation with your doctor. You do not have much time for one to one with your physician. So prepare your questions in advance based on the knowledge you have already acquired. Good if you could track your own health data or vital signs. Even if your physician does not trust such “personal data”, she/he still may look at the graphs. There are number of free apps to track your blood pressure, glucose level or heart rate. Online platforms like Health Vault or Health Kit will help you to accumulate the data and share information with your physician. Stop feeling yourself small. Remember that hospitals and healthcare are not for physicians, it is for patients i.e. for you. People who have courage to demand their rights are often getting better services, compared to those who meekly accept what is given. A reluctantly disclosed secret from NHS is that “patients who complain get better care”. New technologies like smartphones and tablets allow people to get a better control and understanding of their health conditions. But, finally, it is our own determination and choice if we want to do it or grant this role to someone who claims to be professional but can be indifferent to us as a person. As a patient and individual you deserve care and respect. Respect often is not given for granted. So rephrasing a famous poet, be not like “a driven cattle, be a hero in the strife” ! Szasz T, Hollender M. A contribution to the philosophy of medicine: the basic models of the doctor-patient relationship. Arch. Intern. Med., 1956; 97:585-92. Smart pills with sensors as well as miniature implants placed, e.g., under the skin are predicted to grasp minds and souls of the consumers cramping fitness devices like wrist bands or watches. Thus, the “Smart Pills Technologies Market (2012-2017),” report forecasts the global smart pills market to reach $965 million by the year 2017, while Gartner expects shipments in the smart garment category to jump from 0.1 million units in 2014 to 26 million units in 2016. 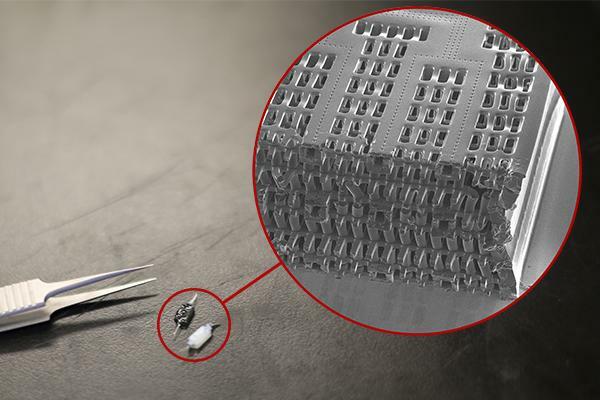 The grid of miniature interconnected devices, mostly sensors that can be wearable or implantable (known as a body area network (BAN), can radically transform the mainstream of Healthcare. Registering multiple parameters such as body temperature, perspiration, electrical conductivity of the skin or electric field distribution around the body, the Internet of Health (IoH) can provide data which, if properly interpreted, would track multiple disorders of the organism’s subsystems casting a deeper insight into the origin of diseases such as diabetes or cancer. What disruptive changes can IoH bring to our Health system, in particular, to consumers and patients? For centuries, medicine has been collecting physiological facts to describe various human organs with limited understanding of their interplay, the approach often leading to misdiagnosis and medical errors. The IoH technologies are expected to overcome such pitfalls. This topic discussed by respectable scientists at the 2015 BIO International Convention in Philadelphia. Thus Donald Jones, the chief executive officer of Trial Fusion, argued that gadgets should be viewed as “nodes on the net” or transmission hubs emitting important information from different sources to help researchers form a more comprehensive picture of a person’s illness. It is curious that some successful endeavors are already springing not from medical, but e.g. automotive industries. All of us are used to a quick car sanity check before we start the trip. Multiple sensors are “calling” different parts of the machine to inspect its health. Why not to check the driver? The Sixth Sense by Jaguar/Land Rover attempts to monitor a driver’s fatigue or lack of concentration by combining multiple measurements such as heart rate, respiration and brain activity collected through sensors embedded in the steering wheel. Other automotive manufactures like Ford, Toyota or General Motors are taking the same direction. The indigestible sensors will revolutionize diagnostics by monitoring health status noninvasively under natural conditions. A tiny pill travelling through the human body interacting with saliva, blood, urine and/or gastric juices will be collecting data to provide a multidimensional view of the human organism. The information is wirelessly transmitted to physicians to identify early deviations from the individual’s health stability. Scientists from the Weizmann Institute Israel are having an ambitious goal to develop “lab-on-the molecular”, a combination of fluorescent molecular sensors that integrate the properties of molecular luminescent sensors and cross-reactive sensor arrays (the so-called chemical ‘noses/tongues’). On the one hand, molecular sensors can differentiate between a wide range of analyte combinations and concentrations; on the other hand, they can operate in the microscopic world, which macroscopic analytical devices cannot access. Responding to the slightest chemical modifications of the molecular complexes in the organism such sensors are able to operate as “smart diagnostic devices”, kind of molecular spies. Suitable platforms for luminescent sensors are nanoobjects, in particular, semiconductor or noble metal quantum dots that can interface with molecular complexes in the living organism. The mainstream of medical diagnostics methods tends to interfere with the human body, often stretching organism to the extremes thus pushing it out of its stability margins. For example, the ubiquitous exercise-electrocardiogram (stress ECG or cardiac stress treadmills) so favored by the doctors can be detrimental for the patients, in some cases leading to aortic stenosis and heart attacks as well as contingently causing nausea, high blood pressure or chest pain/angina pectoris. (Myocardial infarction in approximately 1:5000 tests and death in about 1:10 000 tests, Freedman B. Cardiac Society of Australia and New Zealand. Safety and performance guidelines for clinical exercise stress testing. 2010, http://www.csanz.edu.au.) . Erik Topol, chief academic officer Scripps Health (San Diego) and one of the strongest proponents of the consumer oriented nanotechnology is working with Axel Scherer, PhD, of Caltech on tiny blood stream nano sensor chips that might spot predecessors of a heart attack. The sensors are picking up a specific genomic signal coming from endothelial cells that are sloughed off an artery wall in a precursory period before a heart attack. By transmitting the alert via smartphone to the cardiologist the myocardial infarction potentially can be prevented. Personal wearable sensor garments can soon become a fashion. This HealthWatch , 15-lead ECG-sensing T-shirt can read heart rate, blood pressure, detect cardiac irregularities and other vital signs that can be the key to preventing heart attacks. Data is generated in real time and reaches doctors immediately. The design is quite practical: one can throw this T-shirt in the laundry with the rest of your clothes. Cardiologists can observe their patients remotely, without hooking them up to a heart-measuring device in doctor’s office. Endoscopy or colonoscopy can be a nightmare for patients suffering from gastroenterological illnesses such as, e.g., Crohn’s disease or ulcerative colitis. The inflammation can be located in the small intestine that doctors can barely see. A tiny camera size of a vitamin pill such as used in the Beth Israel Hospital in New York City is travelling through the guts taking pictures every few seconds and transmitting them to a device on a patient’s belt. Recently the Technion-Israel Institute of Technology together with Alpha Szenszor, the Boston-based manufacturer of carbon nanotube sensing equipment, announced the commercial version of Na nose, the device that has been proven in numerous international clinical trials to differentiate between various types and classifications of cancer with up to 95 percent accuracy. Patients breathe into a tube; the Na-Nose analyzes more than 1,000 different gases that are contained in the breath to identify those that may indicate potential disorders. Normally patients with suspected lung cancer have to go through a CT scan when they feel the first symptoms. That maybe too late. Cumbersome and invasive biopsies of tumors can disturb malignant cells and provoke their further spreading. The introduction of nanosensor technology to medical practices allows spotting the location of suspected cancer at a very early stage. The whole procedure is much cheaper and hence more affordable. The traditional European healthcare was regarding a patient is a statistical unit. The conclusion that followed was “what is good for the majority will work for a given individual”. This principle is the foundation of the contemporary pharmaceutical industry. Millions of people are prescribed the same medications with the strong requirements to comply with “what the doctor tells them”. The attempt to understand how medication impacts a given individual was largely neglected. The result is that 50% of patients are not taking their medications as prescribed. Almost all medications aimed at treating people with long term chronic conditions have severe side effects that are revealed gradually with the substance accumulation in the body. The human metabolic systems vary from person to person and hence differently absorb medications into the bloodstream. In some cases a drug dosing may be too sudden and too much active ingredients enter the narrow absorption window; in other cases, an insufficient amount of drug is absorbed and the active ingredients get quickly flushed outside the body. Considering that people over 65 are taking five or more prescriptions, the threat of drug interactions, negative side effects or overdose is quite acute. Moreover, most medications can be poisonous unless taken in proper doses. 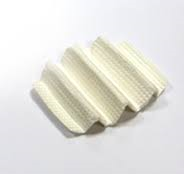 The Israeli company Intec has designed an oral drug delivery system, the Accordion Pill that looks like an ordinary-sized capsule but once inside the stomach it unfolds like an accordion to monitor the absorption of the swallowed drugs. The pill can be programmed to retain the acting pharmaceutical ingredients in the stomach for as long as 24 hours, so instead of taking 5 pills a day one can administer the medication only once. Another good example of a digestible microchip was designed by a company called Proteus. When swallowed, the chip with embedded sensors generates the “slight voltage in response to digestive juices,” which sends a signal to the surface of the patient’s skin. 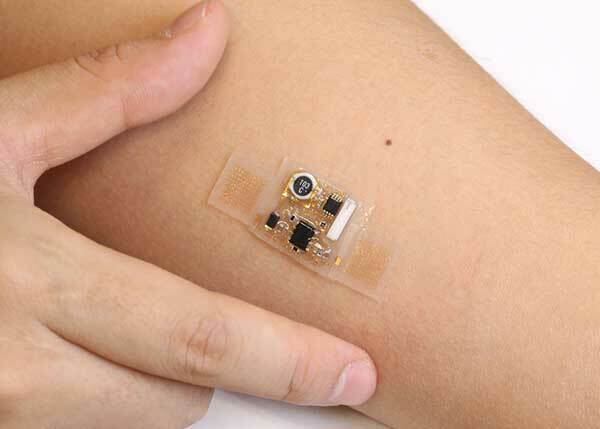 An attached patch catches the signal and transmits information to a doctor’s mobile phone. A device can also monitor patient’s heart rate, respiration and temperature informing the physician on how this particular patient is responding to medications. The point is that the doctor can adjust the treatment to the particular patient vs. forcing him to comply blindly with what “is normally believed to work”. The Internet of Health, the network of wearable or implanted sensors is disrupting the fundamental principles of traditional medical methodology such as treating disease vs. sustaining health, addressing anonymous patients vs. individuals, relying on intuition vs. measurable facts. For the first time a patient has a chance to be treated as a human being vs. a collection of organs and receive care without going through torturous procedures that in some cases can be devastating for health. The IoH might generate the new flow of applications and portable devices capable of addressing vital health issue helping people to understand and measure their everyday health conditions. The market of current Health and Fitness devices designed merely for strong and healthy has to give way to the one of new technologies dedicated for those who need it most.